Contact Logan Home Energy Services to have your system inspected by one of our professionals. 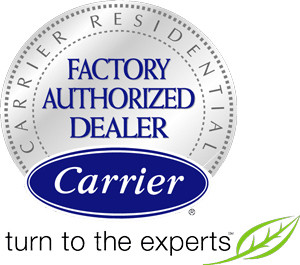 We are the trusted company for HVAC replacement and installation and the local experts for high-efficiency furnaces, boilers and heat pumps. Schedule your free estimate on new unit installation in Winston Salem, Greensboro, High Point and nearby! Aged furnaces are less likely to work efficiently. We replace and install boilers in Central NC. Switching to natural gas HVAC systems may help you save money while maintaining home comfort. A healthier home starts with our free estimates in North Carolina. Logan Home Energy Services can help rectify these problems with affordable, energy-saving insulation and air-sealing upgrades. Any HVAC system that’s more than 15 years old is probably causing both of these problems. But even a well-functioning older system can be expensive to operate because of its inefficiency. For example, a 20-year-old furnace probably operates at a maximum of 75% efficiency even when it’s in perfect condition. According to the U.S. Dept. of Energy, an older furnace or boiler operates with an efficiency of 56% - 70%. A new, high-efficiency furnace can operate at 96% efficiency. Depending on the cost of fuel and electricity, an upgrade to a high-efficient HVAC system can pay for itself in just a few years. In the U.S. and around the world, HVAC technicians have made huge gains in heating and cooling technology. Today, ultra-high-efficiency furnaces and boilers are available that deliver up to 96% efficiency. A high-efficiency HVAC system looks and works differently than old-style equipment. It’s compact, quiet and reliable. Instead of requiring a chimney to vent flue gases, a high-efficiency furnace and boiler relies on plastic pipe. Logan Home Energy Services can inspect your existing HVAC system and evaluate your potential for energy savings and improved comfort with a new high-efficiency HVAC system. We also provide free estimates for installing high-efficiency furnaces, boilers and heat pumps. Upgrading to super-efficient HVAC equipment can cut heating and cooling costs by 30%-50%. Call or email today for a free estimate for HVAC installation or replacement.